Ensemble Scholastica is a Montreal-based female vocal ensemble that specializes in the performance of medieval plainchant and polyphony (c. 800-1300 AD). Although we study and sing from medieval manuscripts, we do not strive for “authenticity.” Rather, our goal is to share with listeners the beauty and intricacy of medieval music, particularly the medieval liturgical traditions that are at the very root of Western music. We offer our audiences the opportunity to experience the remarkable joy and complexity of medieval spirituality and culture. In recent years, Ensemble Scholastica has been involved in different projects, including several collaborations with the renowned Baroque ensemble Les Idées heureuses, with the aim of expanding the temporal boundaries of its repertoire. Our upcoming seasons will include liturgical music of New France — a rarely performed repertoire that Scholastica is uniquely well-placed to explore. The ensemble is made up of talented and dedicated vocalists from Montréal’s thriving early music community. Some of our members also play medieval instruments. Leading medievalist Rebecca Bain has been the Director of Ensemble Scholastica since January 2012. Founded in autumn 2008, the female vocal group Ensemble Scholastica gave its first performance in April 2009. The ensemble specializes in the performance of Gregorian chant and medieval polyphony. Our approach is based on the notation of these repertoires in medieval manuscripts. This careful study of the original sources is not simply in the name of “authenticity”, but to expose the true beauty of medieval liturgical traditions. The resulting interpretation is a rendering of the surprising rhythmic variety and ornamentation of medieval chant melody, and a capturing of the fluidity and interplay of the melodic lines of medieval polyphony. The ensemble is named in part for Scholastica, 6th century mother of female European monasticism and sister to St.Benedict (founder of the Benedictine Order), and in part to reference the influential intellectual movement beginning in the 12th century known as Scholasticism. The Scholastics, such as Peter Abelard and Thomas Aquinas, sought to create order out of existing knowledge and the many new forms of knowledge coming into Europe during the period. Their counterparts in the musical world, such as Pérotin the Great and his students, sought to create, from past traditions, a more ordered style of composition. Their musical form of choice was the organum (= organized music). Gregorian chant is known principally as the music of the Catholic Church, and in particular as that practiced in monasteries. Its origins can be traced back to the 8th & 9th centuries, when the great Carolingian rulers (beginning with Charlemagne’s father Pepin) imposed Roman plainchant throughout their territories. Since various plainchant traditions already existed, a hybridization process between the Roman tradition and local chant traditions began, giving birth to what soon became known as Gregorian chant, named after Pope Gregory the Great (6th century) to whom, according to popular legend, the Holy Spirit dictated the first plainchant. From the 11th century on, Gregorian chant became the basis for continuously developing forms of polyphony. At first improvised additions of new voices to already existing musical lines, polyphony based on Gregorian chant quickly led to all the most important developments in Western musical composition, including the development of musical notation (which, by the end of the Middle Ages, already looked a great deal like modern musical notation). The epicenter of this flourishing of medieval polyphonic composition was the Notre-Dame school of Paris, between 1160 and 1270. There are many approaches to interpreting Gregorian chant. After the Middle Ages, monasteries favoured a modest approach, which to this day remains the most common. The British traditions, for instance, developed a style of interpretation using even rhythm (where each note is of equal length). Since the early 20th century, the monks of Solesmes (the famous French Benedictine Abbey) have worked to revive the singing of chant according to medieval manuscripts. Their painstaking research has led to a better understanding of neumatic notation (the symbols used to notate medieval chant are called neumes) among subsequent generations of musicologists and performers. The last few decades have seen a flourishing of chant revival, with heated discussions on interpretive detail among scholars and singers. Ensemble Scholastica’s interpretation of Gregorian chant is based on the 9th-11th century neumatic notation of the important Benedictine Abbey of St.Gallen (in present-day Switzerland). The result is a refreshingly supple Gregorian melody with free rhythm (in stark contrast to the British traditions mentioned above) and varieties of ornamentation – an interpretation that gives listeners the chance to experience the remarkable joy and complexity of the medieval monastic experience. The medieval polyphonic repertoire also provides singers with a variety of styles, forms and interpretive possibilities. Ensemble Scholastica has concentrated on the important developments in polyphony and its notation in 12th and 13th century Paris. Parisian composers of this time (most of whom remain anonymous) used the Gregorian chant repertoire as a basis from which to excerpt and adapt melodies and then to add new ones to create multi-voiced music. This is the repertoire that mirrors the emerging scholastic thought of the great minds of the day. Its development drastically altered the course of Western musical history. A female Gregorian chant ensemble? Yes, women did sing during the Middle Ages! Contrary to the stereotypical beliefs about the period held by most people today, women had all kinds of opportunities to sing, play and compose music, both sacred and profane, during the many European Middle Ages (5th-15th centuries). Aside from a number of known female composers such as Hildegard von Bingen (the great German Abbess, famous in her own day) and Beatriz de Dia (one of a number of trobairitz, or female troubadours), the many female singing traditions included working songs, love songs, and monastic songs. All of these traditions produced hundreds of compositions preserved in manuscripts from all over medieval Europe. Another little known fact today is that until the 12th century, there were more female than male monasteries in Western Europe. For both male and female monastics, musical composition tended to be anonymous. But singing, and therefore musical composition, were hugely important to monastic life – there were 8 offices to be sung every day (and every day of the year had its own specific liturgical requirements), with hymns, sequences, psalms and all kinds of chant, in addition to polyphony on feast days. A female vocal ensemble dedicated to medieval liturgical chant and polyphony is therefore neither anachronistic nor boring! Rebecca studied at McGill University before heading to Switzerland to study at the Schola Cantorum Basiliensis, where she obtained a Master’s degree in medieval music performance. She was co-founder and co-director of two international ensembles for medieval music, Belladonna and the vocal ensemble Zorgina, with which she toured extensively in Europe and North America. 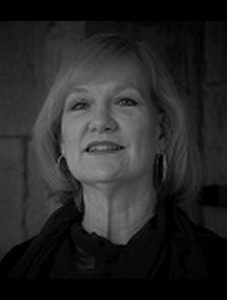 Rebecca has sung principle roles in theatre projects with several renowned medieval music ensembles, including Ensemble Sequentia (Germany) and Ensemble Gilles Binchois (France). She has also participated in over a dozen recordings and given many workshops and courses on singing and medieval music. After 13 years in Europe, Rebecca returned to Canada in 2004. 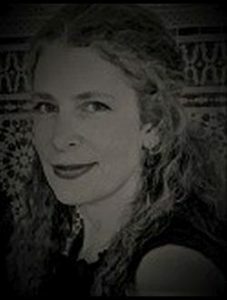 She has participated in projects with such groups as The Toronto Consort, Constantinople and Mandragore, and taught courses on medieval culture at Marianopolis College in Montreal. As well as directing Ensemble Scholastica, she is cur-rently one of the directors of Les Reverdies de Montréal, which hosts the annual "Medieval Music Days." Musicologist and medievalist, Pascale founded the ensemble, and was its musical director from 2008 to 2011. She holds a Ph.D. from the Université de Montréal, a post-doctorat from the Institut de Recherches et d'Histoire des Textes (Paris) and a postgraduate licence from the Pontifical Institute of Mediaeval Studies (Toronto). She has taught at the Université de Champagne-Ardenne (France), and at St. Michael's College of the University of Toronto. Since 2008, she has been teaching music history and medieval culture at the University of Ottawa. She has guest lectured in Europe, the United States as well as in Canada. Pascale is also a horticulturalist and translator-editor. After completing her B.Mus. in voice performance, Elizabeth received a Canada Council grant to continue her studies in Europe, where she gained experience singing in opera and concerts. She went on to obtain a Ph.D. in vocal / choral pedagogy from McGill University. As well as singing and teaching, Elizabeth has been active as a choral conductor. Co-founding member and former president of the National Association of Teachers of Singing (Montreal Chapter), she has been invited to adjudicate at vocal and choral festivals and to lead workshops in vocal / choral technique. Passionate about early music, she has sung with Les Voix Médiévales, under the direction of John Baboukis, Amaryllis, an early music trio, and is a co-founding member of Ensemble Scholastica. Elizabeth's other current professional engagements include the Christ Church Cathedral Singers, the Montreal Symphony Orchestra chorus, Les Idées Heureusesand the St. Lambert Choral Society. 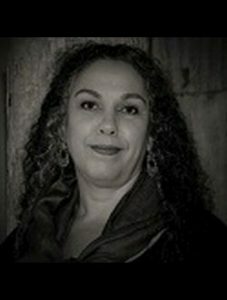 Jody has sung in various female vocal ensembles in Montréal since the early 1990s and contributed to two recordings as a member of Ensemble Rubia. She joined Scholastica in 2013. 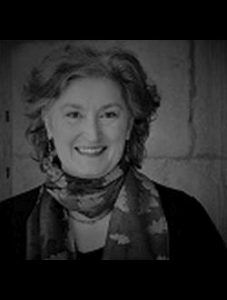 Native Montrealer Cynthia Gates completed degrees in French literature and translation before studying early music at McGill University with Allan Fast. 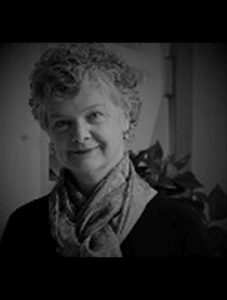 She has been singing professionally for 30 years, working regularly with such ensembles as the Studio de musique ancienne de Montréal, La Chapelle de Québec, VivaVoce, voces boreales, Theater of Early Music, the choir of Christ Church Cathedral, and the chorus of the Montreal Symphony Orchestra. She has also participated in several recordings. A classically-trained voice graduate of the Université de Montréal and the University de Laval, Marie-Josée was able to further her studies with Adrienne Savoie (Montréal) and Catherine Robbin (Toronto) with the help of grants from the Jeunesses musicales du Canada and the Conseil des arts et lettres du Québec. She also participated in numerous opera productions with les Jeunesses musicales, most notably playing the role of the witch in "Hansel and Gretel" for over 5 years. She can be heard on the CD "Divins Duos", and with numerous other ensembles including the Montreal Symphony Orchestra, the Studio de musique ancienne de Montréal, Ensemble Viriditas and La Chapelle de Québec. She has also been a practicing osteopath since 2013. Originally from the U.S., Catherine came to Montreal in 1989, where she studied voice with Allan Fast at the University of McGill. She was a founding member and co-director in 1999 and 2000 of La Compagnie Machaut and she co-founded and directed the a cappella ensemble Rubia. She participated in La Nef's "Perceval: La Quête du Gral" stage production and CD recordings. Her other CD recordings include her solo CD, "Country of the Found", with her own original music. Catherine has also sung on several scores for film and television. She is also a multi-instrumentalist; one of her instruments is a 14th century organetto made for her by James Louder. As well as in the U.S. and Canada, Catherine has performed her solo work in France, China and Taiwan. 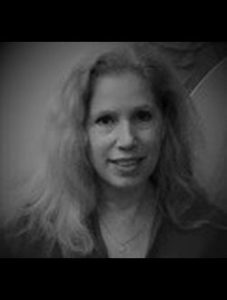 Carole studied voice and composition in England and France. She sang with the Ensemble vocal Michel Piquemal in Paris which specialized in romantic choral music. Often having the opportunity to sing baroque and contemporary music with small ensembles in both France and Canada, the world of medieval music is a new area of interest. Since joining Scholastica in 2014, Carole is enjoying the intellectual and musical novelty of this repertoire. 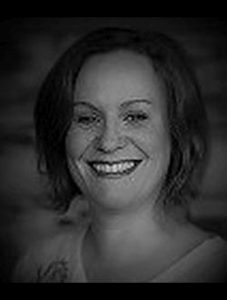 Currently, Carole studies voice with Lyne Fortin and is a qualified teacher of Alexander Technique and a masso-kinesitherapist. Micheline has been singing regularly with numerous vocal ensembles since 1994. After studying classical guitar, she discovered the lute, which she has been studying with Bruno Cognyl-Fournier. Her vocal studies were with Gloria Polcari. In 1997, Micheline founded the vocal quartet Fin'Amor, and in 1999, the ensemble Estavel, which explores a variety of medieval musical repertoires. After obtaining a Bachelor’s degree in early music performance and practice from McGill University, Angèle Trudeau continued her studies at the Schola Cantorum Basiliensis in Basel, Switzerland, which specializes in historical performance. She recently performed as a soloist in Couperin’s Leçons de Ténèbres and in the Languir d'amour program with Les Idées heureuses, in Karen Young’s Missa Campanula with Musica Orbium (directed by Patrick Wedd), and is also a regular soloist with Ensemble Scholastica, a medieval women’s ensemble of which she is a founding member. She sings with several professional choirs, including the choirs of both the Orchestre Symphonique de Montréal and the Orchestre Métropolitain, and the Harmonie des Saisons (directed by Eric Milnes). She has also performed and recorded with the Studio de musique ancienne de Montréal, Ensemble Claude Gervaise, La Volta (Musica Mystica) and Ensemble Scholastica. To pursue her interest in contemporary music, Angèle has participated in music projects with Karen Young (premiere of the Missa Campanula at the Internationale de musique sacrée de Québec and Lux Hodie for six women’s voices and harp), Pierre Cartier (Chanson de Douve at the Festival de musique actuelle de Victoriaville et the Festival International de Jazz de Montréal), Isaiah Ceccarelli (Terre rouge Terre noire), and is currently a member of the contemporary vocal ensemble Voces boreales, directed by Andrew Gray. Geneviève Soly is one of the central figures of baroque music in Quebec. 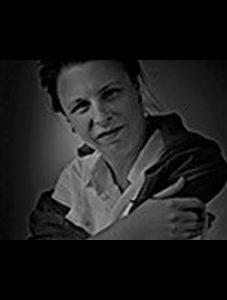 She is well-known for her many talents: as a musical performer on the organ and harpsichord; as a musicologist for her major contribution to the rediscovery of Christoph Graupner; as a pedagogue and sought-after speaker and lecturer; and as an arts administrator who has been directing Les Idées heureuses for nearly 30 years. 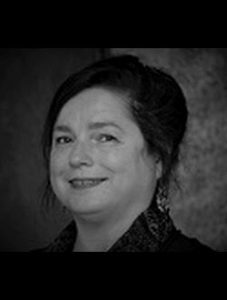 She is an Adjunct Professor of musicology at the Université de Montréal and sits on several arts sector advisory councils. Singer, dancer, actress, harpsichordist, vocal coach and choir director, Dorothéa Ventura is very active in the artistic community in Quebec. She has performed in over 350 productions, is cofounder of ensembles ALKEMIA and Sonate 1704, and is professor of harpsichord at the Trois-Rivières CEGEP. Dorothéa has recorded over 15 CDs, several of which earned Juno awards and the Prix Opus. Director, choreographer and dancer Marie-Nathalie Lacoursière has a multidisciplinary background in music, acting and historical dancing. 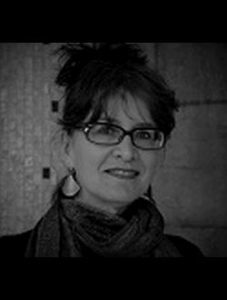 She was Associate director of the Toronto Masque Theatre, and is Co-artistic director of Le Nouvel Opéra in Montreal. She has directed, choreographed and danced in North America and Europe for over 20 years, with performances at many prestigious festivals, including numerous appearances at the Festival Montréal Baroque. For the Toronto Masque Theatre, Marie-Nathalie has choreographed all of Purcell’s stage works and directed several operas. She is the recipient of grants from La Fondation Royaumont (France), the Conseil des arts et lettres du Québec and the Canada Council for the Arts. Musicologist and harpsichordist Élisabeth Gallat-Morin has spent over 40 years reconstructing the musical life of New France. In 1978, she discovered the largest known historical collection of French organ music, the Livre d’orgue de Montréal. In 2003 she published the synthesis of her work in collaboration with Jean-Pierre Pinson: La Vie musicale en Nouvelle-France (Éditions du Septentrion). She has taught in Universities in Quebec, elsewhere in Canada, and in France. She has also given numerous conferences on the music of New France, participated in documentaries on the subject and is the author of many CD liner notes. Les Reverdies de Montréal is a non-profit organisation that seeks to promote medieval music in and around Montreal, and to create a meeting place for musicians and music-lovers of all stripes. It is composed of members of several of Québec’s medieval music ensembles: La Strada, Eya, Ensemble Scholastica, Deus Ex Machina, and ensemble Estavel.